Today is the day. The last day of the year when all of us horror nerds actually don’t stand out in normal society like we do every other time of the year. Not that any of us really cares to fit in, since we’ve long since gotten used to following our own dark and twisted path. But this is the day to celebrate our love and passion for this unbelievable entertaining genre of films that have kept people like us entertained since the birth of cinema. But tomorrow, when the rest of the world starts to get prepared for that big commercial holiday and give praise to the fat man in the red suit, we know that we will just continue on with us celebrating our love for horror movies. Okay, maybe taking a little break for a while because of all the movies that we’ve watched in the last 31 days, but you know what I mean! 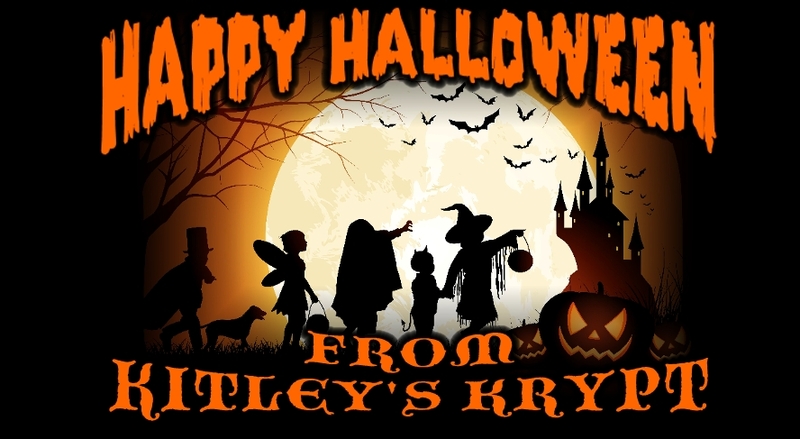 So from Kitley’s Krypt, we wish everyone out there a safe and Happy Halloween! I know we’ll be trying to get a few movies under our belt today since it has been a pretty light month for me viewing wise. But I hope to make up for some of that today. TV Horror fans of the 80s can remember when this series appeared and being surprised that it wasn’t about the famous franchise that the title was from. But it didn’t take long for Friday the 13th: The Series to draw a following. Sure, the episodes were hit and miss, but overall, the series was entertaining. 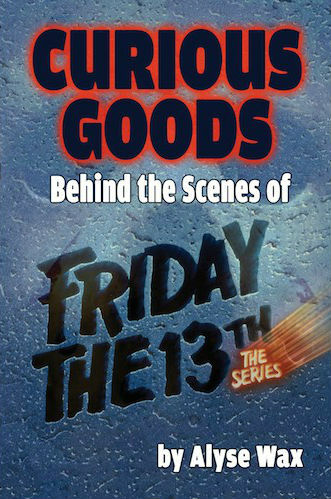 And now, thanks to author Alyse Wax and BearManor Media, you can learn all about this series and the people behind it in the new book Curious Goods – Behind the Scenes of Friday the 13th: The Series. In this book, that is just over 400 pages, covers the complete run, going through each of the 72 episodes. Wax has interviewed more than 60 people involved with the series, such as directors, actors, writers, producers, and more. The book also contains close to 50 behind the scenes photos from the cast and crew that have never been published before…until now. Expect to hear some great stories from people like the creator Frank Mancuso, actors Louise Robey, John LeMay, and Steve Monarque, production people like Jim Henshaw, Marc Scott Zicree, Tim Bond, Armand Mastroianni, Tom McLoughlin, and more. The book comes in both hardcover ($36.95) and softcover ($26.95) formats. If you are a fan of this series, then you have already probably ordered your copy of this book before even reading this. Unless of course, you hadn’t heard about it. But then…now you have. So place your order now! You can get all the info from BearManor’s site by clicking HERE. 30 Tracks with a total running time of 66 min. When I started listening to this score, the first thought that came to mind was it was just another electronic score, with some sudden loud booms, digital noise and feedback, all trying to bring about a sense of uneasiness. But the more I listened to it, the more it sucked me into the depths of the music. Yes, there are still some sequences that do still remind me of electronic feedback, but there is something else below the surface that slowly dug its hooks into me. Is this a score that will blow you away? Not at all. 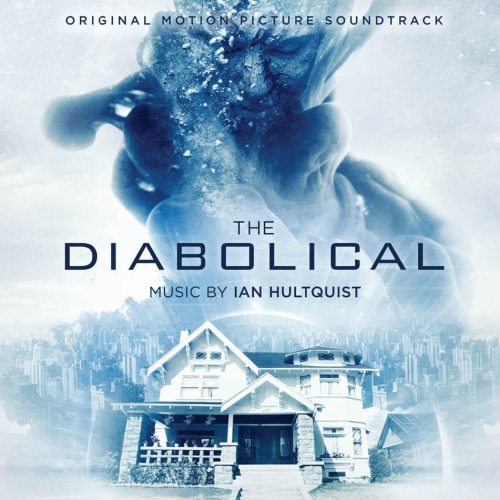 But I think what Hultquist does well here is that he has created a score that most of the time works quietly as it surrounds your mind’s eye. Occasionally bursting with a crashing bang, but still holding on to you. There are times where the “noise” gets a bit too much and for me those are a distraction. But overall, I was impressed with this. It may take a listen or two, but it really does start to haunt you. Followers of this site know my love for Hammer Horror. So when I heard the news that there was a new feature length documentary in process about the work Hammer did with Warner Bros, I immediately got excited. But they need a little help getting the funds to get this made. As of this writing, they are almost half way to their goal and have around 20 days left to meet it. So read on and hopefully you can show your support. Every little bit helps. Authors and Hammer scholars Marcus Hearn and Jonathon Rigby are the two behind this project, so we know the end result is going to be well worth it. 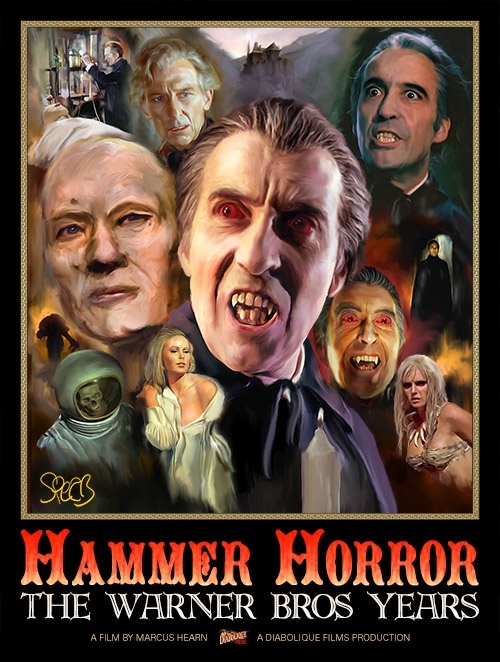 They wanted to explore the work that Hammer did when they had a working relationship with Warner Bros Studios in the late 60s / early 70s, on features like Frankenstein Must Be Destroyed and Taste the Blood of Dracula. They have plenty of great rewards to those that contribute, from copies of the documentary to some incredible newly commissioned artwork designs by Mark Spears. These look amazing. This one here is just one that they have available. Check out the Kickstarter page to see the rest of them, as well as checking out all the different rewards. Again, every little bit helps. If this would be a documentary that you would buy anyway, then this is just like pre-ordering it! For all the details, just click HERE. Hopefully we can see this come to life. You can see some of the updates on their Facebook page HERE, such as that they’ve announced they will have interviews with Hammer actress Madeline Smith and actor John Carson. Stay tuned for more details, but please contribute if you can. I figured our last photo might be a tough one and since we only got 2 correct answers sent in, looks like I was right. But don’t feel bad, this was an obscure one. The shot is from a film called The Strangeness (1985) and is about a bunch of spelunkers who run across this wicked stop-motion monster at the end. Is it a great movie? Not by any means, but any time you have a stop-motion monster, I’m all for it. This has recently been released by Code Red, so it is a little easier to get to these days than before that, since it had never gotten a DVD release, and even the VHS tapes were pretty rare. This title would make a great addition to any Turkey Day lineup. But congrats to Hoby Abernathy and Will Wilson for sending in the correct answer. Now to this week’s photo. This one might be a little easier….might be. So take a peek and see what you can come up with. Remember, please don’t post your answer here, but send us an email to jon@kitleyskrypt.com. Good Luck! 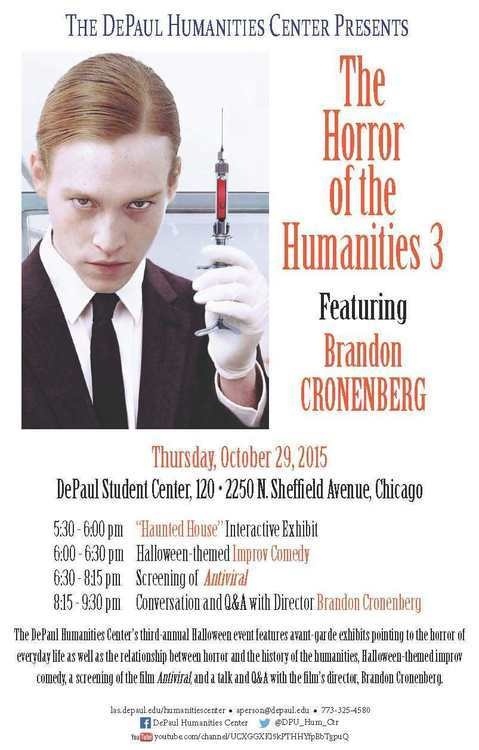 If your in the area of DePaul University this Thursday (Oct. 29th), they will be having a FREE screening of Brandon Cronenberg’s feature debut film Antiviral, plus an extensive interview and Q&A with the director after the screening. The event starts at 5:30, with a “Haunted House” interactive exhibit, followed by a Halloween-themed improv comedy. Then at 6:30, they will screen the film, followed by the Q&A. You are in the area, I would suggest checking it out. I mean, it is free after all. It takes place at the DePaul Student Center, Room 120. For more information, just click HERE. Published by BearManor Media, 2015. 343 pages. I have to say that out of all the movies I’ve seen in my lifetime, I really can’t think of one that effected me as much as Jaws did, first seeing it on a re-release around 1977. Because of it, any movie that deals with sharks, or really any aquatic terrors, really has a emotional effect on me…meaning it really gets under my skin! And even though the original film terrified me to the core, I was somehow anxious to maybe do it all over again when Jaws 2 hit the screens a few years later. Yeah, we all know that it is not even close as being as good as the first one, but I did enjoy it back then and think that even today it still holds up for the most part. There also has been more than a few books written about that original summer blockbuster, but not too many on the sequel. Until now. 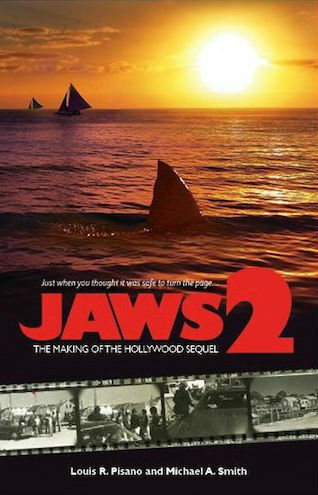 Authors Louis R. Pisano and Michael A. Smith have spent a few years pulling together information, interviews, stories, and so much more, all jammed into their new book, Jaws 2: The Making of a Hollywood Sequel.